An 8x8 planar antenna array creates narrow beams capable of scanning large sectors in front of the antenna. 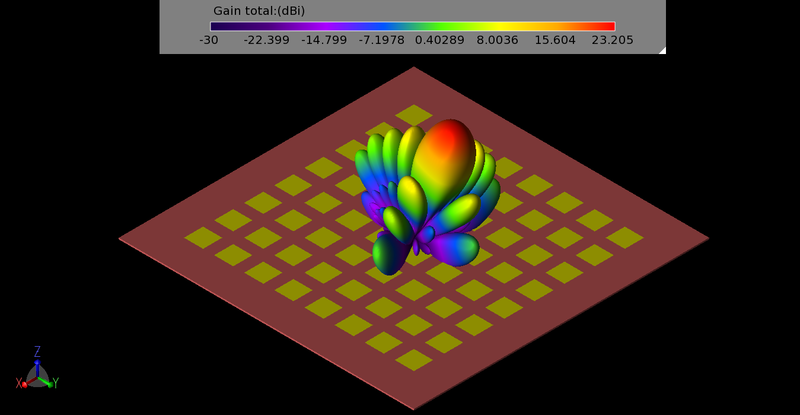 This example focuses on displaying typical simulation results for beams and possible plots of coverage from the full array and combinations of sub-arrays. Download the full paper for more information.